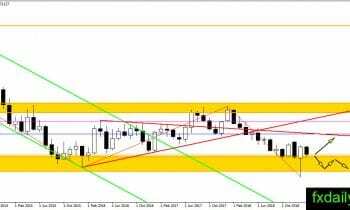 March was a boring month for AUD/USD as the pair trade between 0.7003 – 0.7168 before settling at its opening level. The consolidation near 0.7000 – 0.7050 continue and there is not much movement yet this month. The pair still trade inside the previous month range and might settle inside it. U.S-China trade talk might reach conclusion this month, however, there is a possible new trade war between U.S-Europe brewing. Traders could expect the same situation in last month to happen this month too. No bounce from 0.7000 – 0.7050 support level yet. The market is in consolidation mode and might stick near the support level again this month. However, if a bounce happens then 0.73150 will become the upward target. AUD/USD progress lower with lower high printed on the chart, the pair also contained below the trendline. We have descending triangle pattern on the making and it is not good news for the bull. 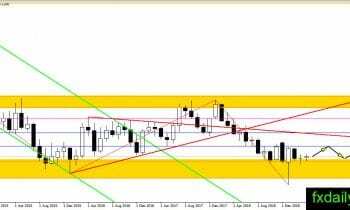 If the bear could push the pair and close it below 0.7000 then we could expect AUD/USD to resume its bearish trend. 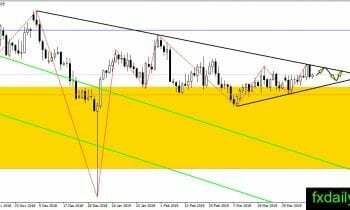 New triangle pattern formed on AUD/USD daily chart, the pair traded inside the triangle and not showing breakout sign yet. On the higher time-frame, the overall trend is bearish which suggest traders to stick to the short side. However, the bear needs a breakout below 0.7000 – 0.7050 area before the bearish trend could continue. 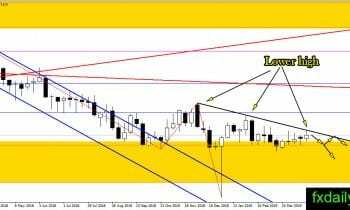 A short position might need to wait for the breakout of the support area 0.7000 – 0.7050.